So far, every year (1, 2, 3), Boxycharm has proven its value. Though there are some months that are pretty unpleasant (November 2016, I’m looking at you). But if you’re really trying to figure out if Boxycharm is worth it, you might wonder what types of products you get in your Boxycharm? What sort of brands? What sort of value? Luckily, I’m here for you with some awesome Boxycharm math. 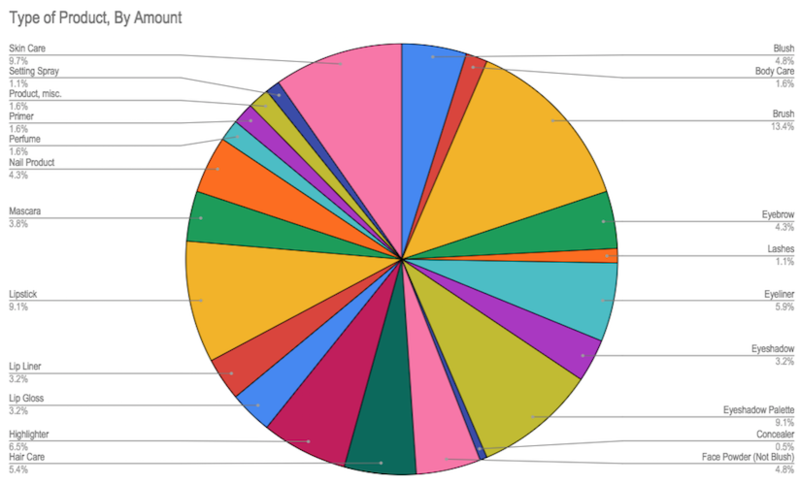 I can tell you, based on three years of data, exactly what type of products you might receive from Boxycharm. First, I looked at items by amount. How many items did I receive over three years of Boxycharm in each of these categories? 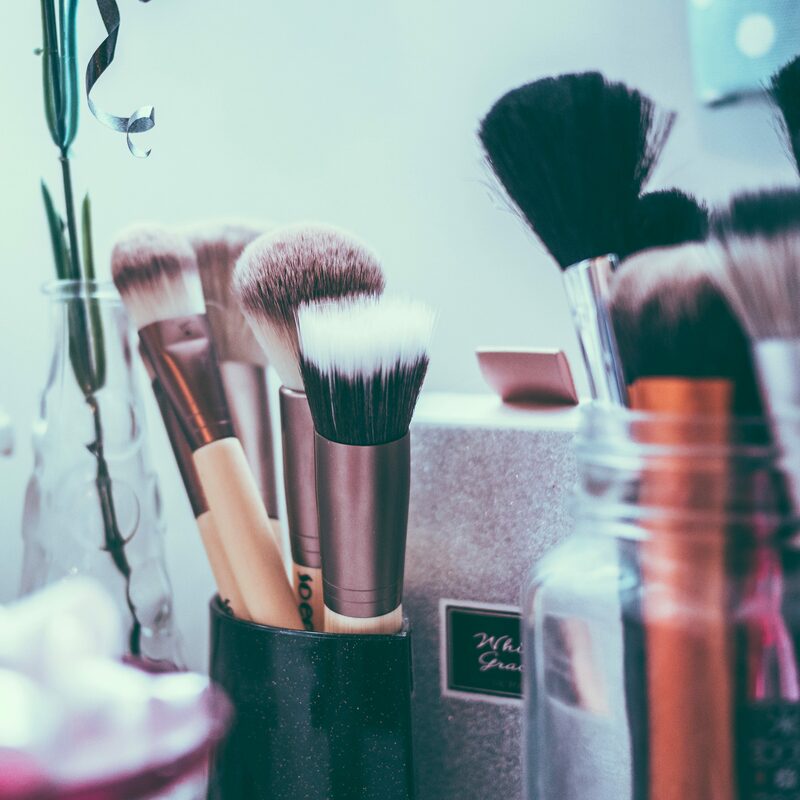 Over this time, Makeup Brushes take the lead with 25 brushes (13.4% of products). However, skin care (18), eyeshadow palettes (17), and lipstick (17) come in a semi-close second. A surprise (that maybe shouldn’t be surprising) are the TWELVE highlighters I received over the three years. That’s four a year. It’s impossible to use four highlighters a year, unless you’re going for a sparkling statue look every day. 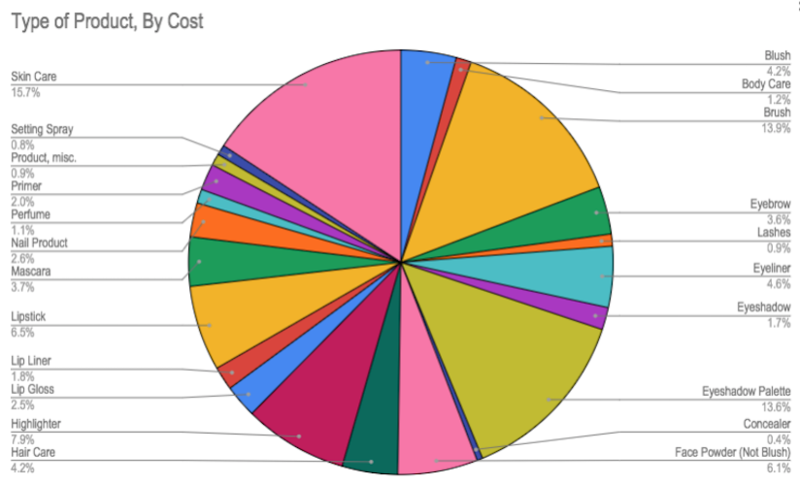 If you choose to breakdown the products you received by cost, the pie chart shifts quite a bit. Due to the high cost of skin care, you can see that its pink slice widens significantly. It becomes the most expensive item, with $720.87 in skin care products over three years. Close seconds are Makeup Brushes ($634.98) and Eyeshadow Palettes ($622.79). Both of these make sense, given that they can be higher cost items and they were high in the list above. The insanity that is highlighters clocks in at $363.07. To put that in context, the cost of three years of Boxycharm is $693, on the year-long sub. Highlighters alone account for over half the value of your box. These charts demonstrate why it’s important to really think about a few different things when you’re considering a subscription. What’s the value of getting a subscription for you? For me, the joy of getting a surprise in the mail adds a lot to the fun and “value” of receiving Boxycharm for me. I like to call this the movie-index. If I would pay $12 to see a two-hour movie in theaters, how much do I find the joy of anticipating what I’ll get in my box and unbox it? How does it compare to that $12? What’s the use you’ll get out of the items? On one hand, the actual “value” of Boxycharm is amazing. You’re getting a TON of stuff for a low cost. And some of it is really nice. But how much of it will you use? I don’t use most hair care products. So if hair care were a larger component of the above chart, I would know that’s not a good box for me. How much are you still going to go out and buy? On one hand, you’ll almost certainly still have to buy foundation, concealer, powder, and the like. On the other hand, are you going to go out and pick up the latest highlighter set or eyeshadow palette AND receive more in your box? Is that worth it for your “collection”? I know there are a few eyeshadow palettes I’m lusting after currently, but I don’t feel I can get them because I’m still trying to get minimal use out of some of these Boxycharm-given eyeshadow palettes! Note: Boxycharm has changed a lot, incorporating more high-end brands and generally increasing in quality. This is a positive trend for subscribers. But it also means that some of the older data included things like perfumes, which we don’t see as often now. 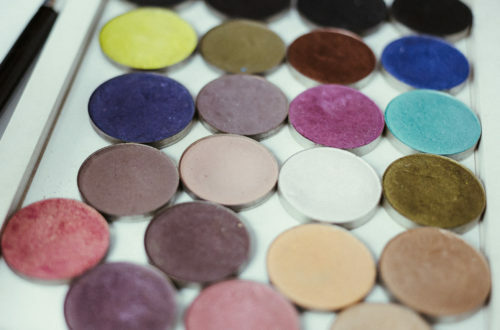 Lately, we’ve seen an uptick in eyelashes and even more eyeshadow palettes. Looking for more info on exactly what products I received? I finally made it into a Google Spreadsheet for you.